Welcome to our sermon page! Here, you'll be able to find all the messages from our current and past sermon series. You can either stream the sermons on your listening device by clicking the "play" icon, or you can download it as an mp3 file. Either way, we hope that God blesses you by listening to these sermons! Jesus is real to us in a multitude of ways. Jesus even named seven ways in which we experience his presence. In the gospel of John, he says, "I am ... the Light of the world...the Bread of Life... the Gate... the Good Shepherd... the Resurrection and the Life... the Way, the Truth and the Life... the Vine." These are known as the "I Am" sayings of Jesus, and each week, we will explore one of these sayings and consider what it means to us today. Join us for this 7-week series starting 3/1. 4/7/19 (Contemporary) "Jesus Is: The Way, The Truth, and The Life"
4/7/19 (Traditional) "Jesus Is: The Way, The Truth, and The Life"
3/31/19 (Traditional) "Jesus is: The Resurrection and the Life"
3/24/19 (Contemporary) "Jesus is: The Good Shepherd"
3/24/19 (Traditional) "Jesus Is: The Good Shepherd"
3/17/19 (Traditional) "A Gap in the Wall or a Point of Entry?" 3/17/19 (Contemporary) "Jesus Is: The Gate"
3/10/19 (Traditional) "Jesus Is: The Bread of Life"
3/10 (Contemporary) "Jesus Is: The Bread of Life"
3/3/19 (Contemporary) "Jesus Is: The Light of the World"
3/3/19 (Traditional) "Jesus is: The Light of the World"
A Light to the Nations, February sermon series-The light of God shines brightly in the life of Jesus and he calls us to share this light with others. During the month of February, we will explore this call by considering what it says about God and what it means for us. 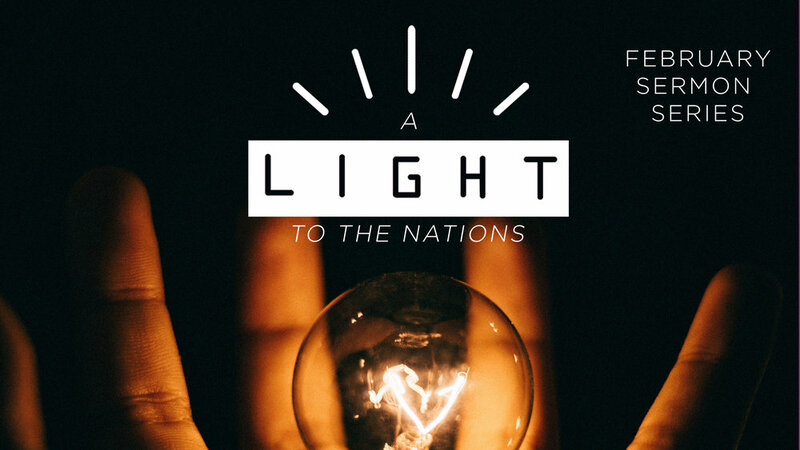 2/24/19 (Contemporary) "Light to the Nations: Bringing Them to Jesus"
2/24/19 (Traditional) "Light to the Nations: Listen to Jesus"
2/17/19 (Contemporary) "Sharing a Radical Love"
2/17/19 (Traditional) "Light to the Nations: The Light of Love"
2/10/19 (Traditional) "Light to the Nations: Living a Full Life"
2/10/19 (Contemporary) "A Light for Everyone"
Throughout the month of December, we'll be sending along devotions to your email inbox each week which build upon our theme in worship, "A Christmas Party." Devotions will be sent on Mondays and Fridays. If you'd like to receive these devotions, make sure you're signed up for our e-news by visiting foresthills.org, going to the bottom of our homepage, and clicking the link, "Join Our Email List." 1/20/19 (Contemporary) "Facing Our Fears: Living with Hope"
1/20/19 (Traditional) "Fearless: Living with Hope"
1/13/19 (Contemporary) "Fearless- Living with Courage"
1/6/19 (Traditional) "Naming our Fears"
1/6/19 (Contemporary) "Living With Fear"
12/23/18 (Traditional) "A Christmas Party: The Gifts"
12/23/18 (Contemporary) "A Christmas Party: The Gifts"
12/16/18 (Traditional) "A Christmas Party: The Host"
12/16/18 (Contemporary) "A Christmas Party: The Host"
12/2/18 (Traditional) "A Christmas Party: The Invitation"
12/2/18 (Contemporary) A Christmas Party- "The Invitation"
Jesus once said, "Out of the overflow of the heart, the mouth speaks." Each Sunday in November, we'll dive into the depths of our hearts, remember what we're grateful for, and let that gratitude overflow into our weekly worship. Join us each Sunday for "A Grateful Life." 11/25/18 (Contemporary) "A Grateful Life: Living with Love at All Times"
11/25/18 (Traditional) "A Grateful Life: Thankful for God’s Abiding Presence"
11/18/18 (Contemporary) "A Grateful Life Is Lived in Community"
11/18/18 (Traditional) "A Grateful Life: Encouraging One Another"
11/11/18 (Contemporary) "A Grateful Life Extravagant Generosity"
11/11/18 (Traditional) "A Grateful Life: Extravagant Generosity "
11/4/18 (Contemporary) "A Grateful Life: Loving God and Loving Others"
11/4/18 (Traditional) "A Grateful Life: Loving God and Loving Others"
From 9/9-10/14, we’ll be working through a sermon series called Navigating Transition: A Journey With Joshua. 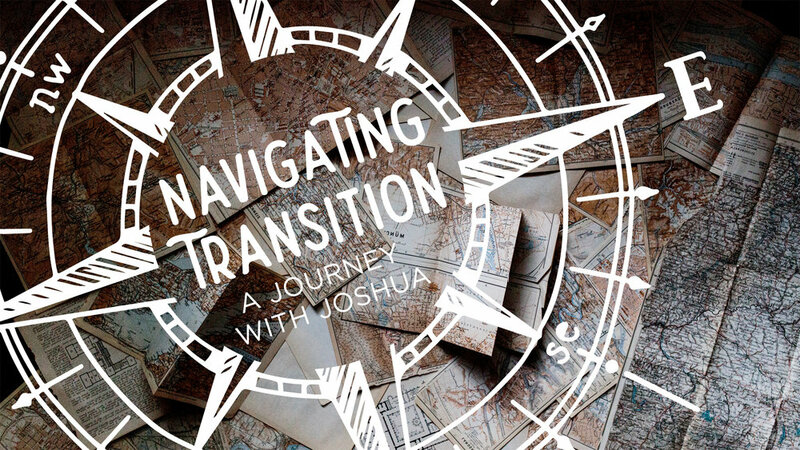 We’ll look at what this book teaches us about God’s guidance during new beginnings, and dream of what God might want to do in the coming years at Forest Hills. 10/14/18 (Contemporary) "What Sort of Community Do We Want to Be?" 10/14/18 (Traditional) "What Sort of Community Do We Want to Be?" 10/7/18 (Traditional) "Preparing and Adapting"
10/7/18 (Contemporary) "Preparing and Adapting"
9/30/18 (Contemporary) "Pausing to Remember"
9/30/18 (Traditional) "Pausing to Remember"
9/23/18 (Contemporary) "Opportunity for Creative Thinking"
9/23/18 (Traditional) "Opportunity for Creative Thinking"
9/16/18 (Traditional) "Transition and Commitment"
9/9/18 (Contemporary) "Recognizing the Difference between Transition and Change"
9/9/18 (Traditional) ""Recognizing the Different Between Transition and Change"
7/29/18 (Contemporary) "How Should I React When Things Don't Go According to Plan?" 7/29/18 (Traditional) "How Should I React When Things Don’t Go According to Plan?" 7/22/18 (Traditional) "Why Should I Respect People Who Believe the Wrong Things?" 7/22/18 (Contemporary) "Why Should I Respect People Who Believe the Wrong Things?" 7/15/18 (Contemporary) "What Do I Do in the Midst of a Hopeless Situation?" 7/15/18 (Traditional) "What Can I Do in the Middle of a Hopeless Situation?" 7/8/18 (Traditional0 "How Can I Lead Someone to Christ?" 7/1/18 (Contemporary) "How do I Lead Someone to Christ?" 6/24/18 (Contemporary) "How Can I Be Satisfied with Who I Am?" 6/24/18 (Traditional) "How Can I Be Satisfied with Who I Am?" 6/17/18 (Traditional) "How Can I Be Satisfied with Who I Am?" 6/10/18 (Contemporary) "How Should I Spend My Time?" 6/10/18 (Traditional) "How Should I Spend My Time?" Following the Transfiguration, Jesus began His journey towards Jerusalem. This journey would ultimately lead Jesus to the cross, that place of suffering and pain where He took the sins of the world upon His shoulders and died in our place so that we might live with Him forever. Along the way, Jesus continued to teach and preach on what it truly means to follow Him. Join us in worship throughout the season of Lent as we explore Jesus’ last teachings about discipleship and how we can better follow Him today. 4/1/18 (Traditional) "Seeing the Risen Christ"
4/1/18 (Contemporary) "Telling Idle Tales"
3/25/18 (Traditional) "The King We Need"
3/18/18 (Traditional) "The Parable of the Dishonest Manager"
3/18/18 (Contemporary) "Jesus Loves The Little Children"
3/11/18 (Contemporary) "God Have Mercy"
3/11/18 (Traditional) "Released and Redeemed"
3/4/18 (Traditional) "Strength for the Journey"
3/4/18 (Contemporary) "Woe to Whom"
2/25/18 (Contemporary) "Who Is My Neighbor?" 2/25/18 (Traditional) "Woe to Whom?" 2/18/18 (Traditional) "Enter by the Narrow Way"
As we approach Christmas, we come together each Sunday to celebrate the gifts given to us at Christ’s arrival. Gifts of hope, peace, joy, and love. As wonderful as it is to receive these gifts, it’s much more meaningful to give them away. 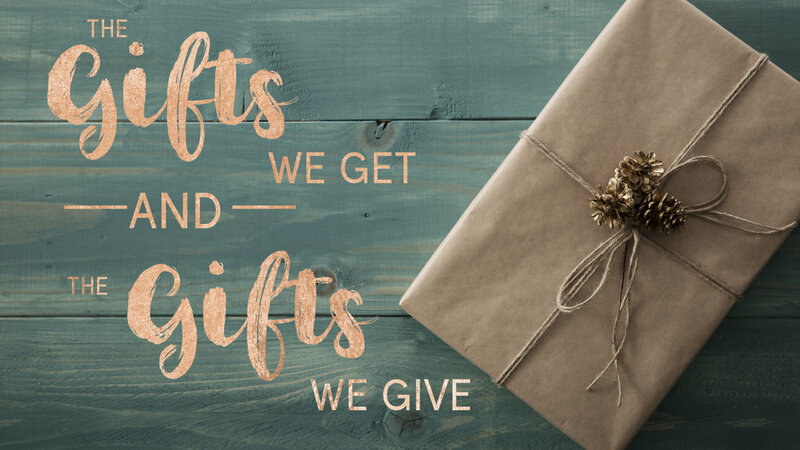 Through our Advent journey this year, we’ll consider the impact that these gifts make in our lives and how we can increase their impact by sharing them with others. During the four Sundays in November, we will be reflecting on the gifts that God has given us, and how our lives are changed because of them. We’ll be expressing our gratitude to God for the gifts of creation, community, church, and Christ. We’d like to ask you to make a special commitment to join us in worship over those weeks as we think about what God has blessed us with, and how we can respond. 11/26/17 (Contemporary) "Seeing Through The Heart"
11/26/17 (Traditional) "A New Way to Be Human"
11/12/17 (Traditional) "Cain Jabal Jubal Tubal Cain"
11/5/17 (Traditional) "Giving Thanks for Creation"
11/5/19 (Contemporary) "Welcome to the Party"
When Jesus wanted to get a point across, He told a story. Through these stories that we call parables, Jesus helps us understand complex spiritual truths in a way that makes sense to us. From late June to early August, we’ll be exploring these parables in worship each Sunday. As we do, we’ll look for how Christ’s nature is revealed through each parable and what this story means for us today. 8/6/17 (Contemporary) "When Did We See You?" 7/23/17 (Contemporary) "The Wheat Among the Weeds"
7/30/17 (Traditional) "When Did We See You?" 7/16/17 (Contemporary) "A Farmer's Call"
7/16/17 (Traditional) "Wheat Among the Weeds"
7/9/17 (Traditional) "Who is My Neighbor?" 6-25-17 (Contemporary) "Scandalous Prayer for a Scandalous God"
7/2/17 (Traditional) "Watching and Waiting"
The Christian life carries with it certain responsibilities. Through the book of James, we come to see those responsibilities made clear...faith and works. Through our sermon series, we'll explore the intersection of our faith and actions and how we can more accurately share our faith through the way we live our lives. The goal we're striving after through this series is this: To become a church that takes seriously the demands of our faith and to live our lives in such a way that Christ is pleased and others are blessed. Starting on November 27th, make plans to join us in worship for our new sermon series, "Christmas Time in the City." Each week, we'll come to worship to examine the lives of those that Jesus' birth impacted the most in the city of Bethlehem and how that birth continues to impact us today. In addition to this exciting sermon series, we'll have elements of the Christmas season sprinkled throughout all that we do in worship. From the decorations, songs, children's messages, and advent readings, this is a special time to gather in worship to praise God for the gift of Jesus! During our Season of Giving Thanks (Nov. 6-20), we’ll be exploring various ways that we can express our thankfulness to God. Over the course of our sermon series, we’ll be focused on expressing that thankfulness in three ways: giving time, giving resources, and simply giving thanks. Each Sunday, we’ll be focusing on the same theme in both worship services. 11/20/16 (Traditional) "Harvest Sunday Charge"
11/1/15 "The Power of Gratitude"
Through this sermon series, we'll explore what it means to be a friend of God and to reflect on how amazing it is that God wants to be our friend! 10/2/16 "Friend of God- A Friendship Worth Celebrating"
10/2/16 (Traditional) "A Friendship Worth Celebrating"
God gives each one of us a spiritual backpack to fill with the essential habits that will bring us closer to Him. Through this sermon series, you'll come to explore what the three essential habits of a healthy faith are and how they can transform our lives! 8/28/16 (Contemporary) "Our Spiritual Backpacks: Prayer"
8/21/16 (Contemporary) "Our Spiritual Backpacks: Church"
8/14/16 (Traditional) "On the Move"
We spend so much time debating what qualities make a nation Christian or not. But have we ever really taken the time to consider God's requirements for such a nation? 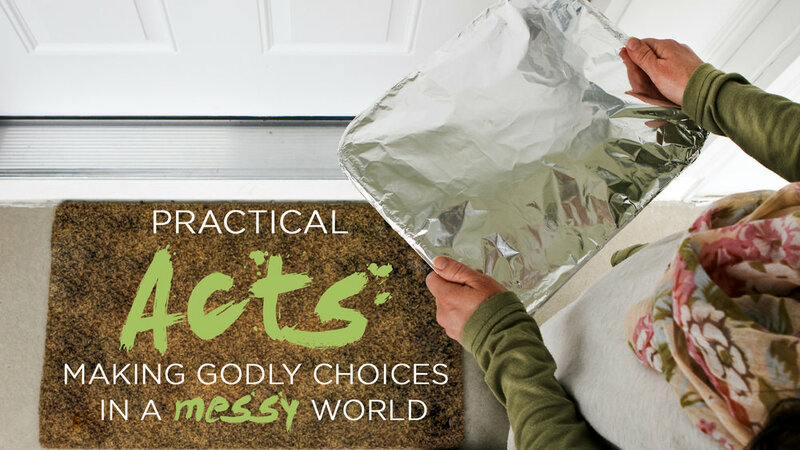 This 3-week series explores those requirements as found in Micah 6:6-8, imploring all nations to focus on: doing justice, loving mercy, and practicing humility. 6/5/16 (Contemporary) "What Makes a Nation Christian? Part 1: Justice"
Contrary to popular opinion, it's OK to question Jesus. Throughout the Gospels, Christ invited questions regarding His ministry, His nature, and His purpose. Through this series, we'll embody the voices of those who asked Jesus questions in the Gospels and we'll be encouraged to likewise bring our questions to Christ. 8.23.15 "Why Does Your Teacher Eat with Tax Collectors and Sinners?" 8.16.15 "Why Do You Speak in Parables?" 8.9.15 "Are You the One We are Looking For?" 7.26.15 "How Can Someone Be Born Again?" 7.19.15 "Who is the Greatest in the Kingdom of Heaven?" 7.12.15 "Lord Should We Strike with Our Swords? From Ash Wednesday until Easter, Christians around the world celebrate the season of Lent. It's a season of preparation and sacrifice as we meditate and reflect on Christ's final days and the ultimate sacrifice He made for all of us on the cross. This year, our Lenten theme is "Journey to the Cross: Meditations on the Meaning of Lent." In both traditional and contemporary worship services, we'll be invited to journey inward as we reflect on these themes of sacrifice and preparation and live life alongside Christ as He prepares Himself and His disciples for what's to come. What does Lent mean to you? Come journey with us as we discover and live out these themes together. 3/13/16 "Journey to the Cross: Waiting"
3/6/16 "Journey to the Cross: Listening for God"
2/28/16 "Journey to the Cross: On The Road to Freedom"
2/21/16 "Journey to the Cross: The Quest for the Perfect Sacrifice"
2/14/16 "Journey to the Cross-Self Denial"
10/11/15 - "Honor One Another"
10/25/15- "Be at Peace with One Another"
During the Christmas season, we joyfully proclaim the newborn Christ as our "Wonderful Counselor, Mighty God, Everlasting Father, and Prince of Peace." But what do these names really mean? What do they tell us about the newborn Christ? Through this series, join us as we explore the prophetic names of Jesus and what role Jesus came to play in our history, our faith, and our world. 12/6/15 "He Shall Be Called Mighty God"
12/20/15 "He Shall Be Called Prince of Peace"
12/13/15 "He Shall Be Called Everlasting Father"
11/29/15 "He Shall Be Called Wonderful Counselor"
11/29/15 "He Shall Be Called Mighty God"
What Makes a Nation Christian?